Your need to fill your child’s prescription, yet you do not have the time to get to the chemist’s shop. There is enough medicine for two days, yet your schedule for those two days is packed, with little time to get anywhere, let alone the chemist’s. Well, turn to the web and look up online chemists—you will be amazed at the convenience and affordability of the prescriptions at your fingertips. Much like shopping for any other product online, from electronics to downloadable content, online chemists provide convenience, discounts, and customer service in the 21st century way. Chats, browsable images, quick shots and close-ups of items, specific information and data, and 24-hour help are all available for consumers with busy lives, needing the convenience and value of online shopping. An online chemist provides a one-stop shop for prescriptions, over-the-counter drugs and other items a shopper would expect to find at the local corner chemist. There is controversy regarding the safety and validity of the online sale of pharmaceuticals, however. 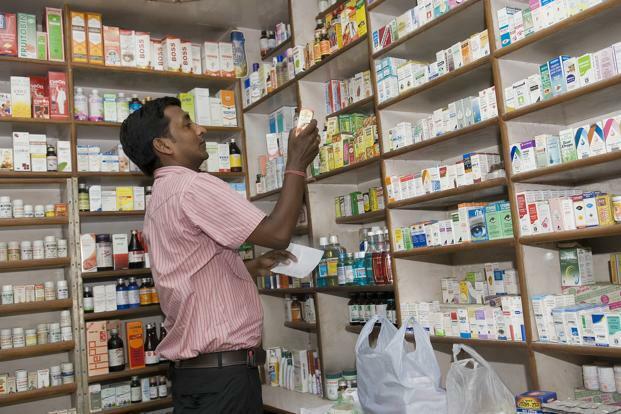 A recent October 2015 article from ft.com noted that concerns from public health professionals are ironic, given that many Indian pharmacies are “notorious” for providing drugs without prescriptions. This controversy is fresh; however, the reality of consumers nationwide using the internet for their shopping needs is not going away. The inevitable shopper, therefore, needs to be an informed shopper. In addition, the shopper needs to be aware of which chemists online are reputable. After browsing the homepage of a few of the online stores, general menu categories are clear: medicines, health and nutrition, medical supplies/instruments, personal care, women’s health, men’s health...the categories are many. Scrolling to the bottom of the pages of many different online chemists, Facebook links are there for customers to research and share information and reviews about the particular companies. Most will have login areas where customers can register or log in to existing accounts. This is a good place to start once customers have browsed for the products and services they need, be they over-the-counter drugs or prescriptions. Once you search for the medicine you need, such as a common fever reducer like ibuprofen, click on the item and research critical details. This is important, especially if searching for over-the-counter drugs. Research is simple in most of the sites, such as the online chemist Bigchemist, where a simple click brings you to an image and key details, such as dosage/milligrams, price alerts, prescription needed, and product reviews. Clicking on each item will give customers more details and help with selection. Some sites have options to chat or contact the company for help, and there are tabs to compare products or add to wish-lists. These options will be familiar sights to frequent online shoppers. Online shoppers will also be familiar with the ‘shopping cart’, the online version of the in-store push cart. Here, for most sites, signing up or registering an account is necessary for having your cart-the list of items you have selected for purchase. Prescriptions sent to the site will automatically show up in your cart once you have registered. Once the shopping is done, customers can “check out”, meaning purchase their items. You will enter your bank card or credit card information in a secure site and confirm the purchase. Online ‘deals’ and coupon links may be present as enticements to shop for more products. Once you have provided your financial information and clicked “checkout”, there will be a confirmation of the sale and options for electronic receipts. You have purchased your prescription. The services provided by online chemists are growing nationwide and worldwide. The growth is enough to stir controversy, causing store-based chemists to close their doors on Wednesday, October 14. This nationwide strike by many of India’s chemists is a direct challenge to the growing web-based chemist sites, reports The Times of India. However, this does not seem to have affected the sales of online chemists, nor has it deterred some of the medical professionals in the field. In the same article, the Times of India quoted Dr. Anish Tiwari, CEO of Zynova Hospital in Ghatkopar. "It will give the option of generic drugs to patients. 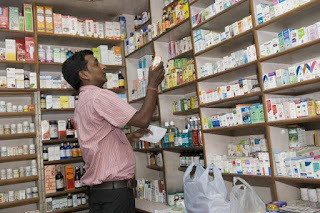 Nowadays, many hospitals have started issuing e-prescriptions, which are directly integrated with pharmacies so that the entire chain becomes online and transparent," said Dr Tiwari. Yet, online sales go on, and the convenience is compelling, the savings significant. Despite any reservations, online chemists are a growing segment of the massive store that is the internet. Just like walking to your local chemist’s store, you need to be a smart shopper and knowledgeable of the products and services provided.